Firstly: Thanking the blogger who nominated me for the award and providing a link back to their blog. Done! 1. I have punched a seagull. 2. I married Mr in a disused slate mine. 3. Have recovered from a milk phobia. I still don’t like it, but the screaming has stopped. 5. Had to complain to my landlord more than once about goats falling through the porch roof. 6. Spent two years saving up for a car, then took my children to Singapore on holiday instead. And on my return, promptly inherited a car! 7. Accidentally find that I collect bones. The gannet skull is my current favourite. Mr found me a mole, which we left on the log shed to decompose but a crow stole it. 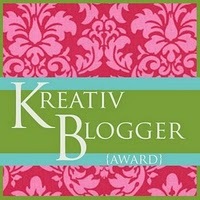 Thirdly: Nominating 7 other bloggers, providing links to their blogs, and letting them know. This is where my head explodes! Who to choose, who wants the extra work, who will feel overlooked???? Apologies for all those things; here are seven things I would recommend a little visit to, if you haven’t heard of them already. Super cheat- this is a website not a blog! But the content is updated regularly and if you love any aspect of cycling, from the skilful design to the nice view at the top of the hill, you will love this. It’s a labour of love! Particularly recommend that you read the Z post from April, ‘I wish I didn’t have Asperger’s.’ Serious stuff but not at all miserable. ‘MOV writes an avant-garde recipe blog. Primary ingredients: sarcasm, folly, imagination, hyperbole, cynicism, irony, exaggeration, and self-deprecating humor. She is highly allergic to advertisements, so she leaves those out.’ Highly entertaining stuff! My best friend from PreSchool, who lived on a boat. One day the boat was scuppered. It’s a 40 year long story and she tells it beautifully in two documentaries. The first of which, ‘The Many Romances With Rosemarie,’ is a story about living on a boat, and also a strong metaphor for the hard work required to sustain a dream. The blog is not updated regularly; Shauna is very busy; but this is honest art, worth exploring. Honest reflective posts; the integrity of a simple life with some lovely dry humour. The Petersons live on the road; they work hard to sustain their dream and they are so engaged in living their lives these posts can’t help but inspire. Congrats on the award. You've listed some really unique and interesting blogs here, and I feel pretty darn good about being listed with them. Thank you Lily Tequila. That slate mine wedding sounds like a trip! Congrats on the award. It was awesome to learn seven facts about you. I think my favorite is the fact about the car. How cool is it that you inherited it after thinking of your children? Thanks for sharing. Congratulations, well deserved. Thanks also for some new links for me to read. Susan- Of course we always like other people's posts, doubtless I will read yours and think, oh, mine were too scanty! Apologies for beating you to the punch (I have a very fast punch btw) but yes, in greatness there is likeness! Rubye- You are most welcome, and yes, it was a hoot of a wedding! Charmaine- that sounds like a much more sensible phobia! Our website is actually http://hittheroadjackonawingandaprayer.blogspot.com it is not co.uk/ Not sure what the difference is but just thought we would mention that...and a big thank you for nominating us, we appreciate it! Back from a long weekend, unplugged. Thank you so much for this! Sue, the seagull was swooping in at my daughter's pasty lunch before I right hooked it. It then glared at us from a railing. Girl was two and highly entertained.